Jim Joyce was responsible for a horrific call, but one call does not a bad umpire make. Mike Estabrook shouldn’t get off that easy. 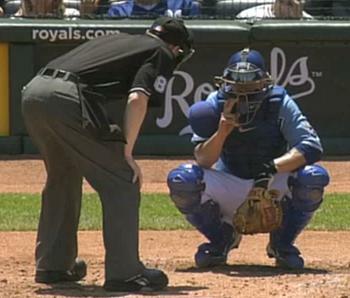 Estabrook, the umpire behind the plate for the Royals-Angels game yesterday, didn’t react well when Kansas City catcher Jason Kendall questioned his strike zone. For catchers, the unwritten rule when it comes to dealing with umpires is to avoid showing them up, to which Kendall adhered. After Estabrook called a ball on a good-looking Zack Greinke pitch, the catcher questioned the decision without turning around or indicating in any way that he was even addressing the umpire. Sometimes when umpires feel the need to go eye-to-eye with a catcher, they’ll walk to the pitcher’s side of the plate and bend over to dust it off, in the process saying whatever it is they feel need be said. Estabrook is a call-up ump from Triple-A. Kendall, without hyperbole, probably knows more about playing catcher than any of his big-league contemporaries. It was a disgraceful display. Kendall knows exactly what and what not to say to an umpire when questioning a call. If Kendall did say something to piss of Estabrook that badly, he should have been ejected on the spot, rather than shown up. Kendall followed the Code so closely when addressing Estabrook that even as the umpire continued to talk to him after tossing Yost, Kendall would not turn around to face him. Unprofessional is one way to put it. Disrespectful is another. 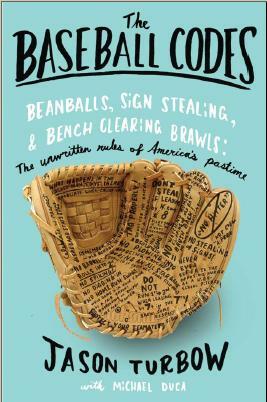 One can only hope that Estabrook picks up the finer points of the Code before his next stint in the major leagues. Thank you for addressing this. I watched it as it happened and was so infuriated as I’ve never seen that before as well . This incident was swallowed by the 28 out perfect game and needed to be brought to light. Estabrook….well, he’s a fill-in. And probably will remain one. This was ridiculous to watch. I’ve seen this happen plenty of times in the past, but either the ump threw the catcher out immediately or they just kept talking from their positions without facing each other. I think it’s safe to say that most umpires do an adequate job or better, but if there continues to be 5 or 6 who display arrogance at their games then that is enough to say the situation as a whole for umpires needs addressed. Disgraceful. Kendall is a pro’s pro. It’s not by accident that most managers were catchers during their pro careers; they know how to play the game. That ump needs to leave that crap in Toledo and Tulsa. As an umpire, I would think you would know that the catcher is your first line of defense. Do this a lot, I don’t think it’d surprise anyone if the guy in front of you didn’t really do much to get his body behind a pitch with nobody on base.